Situated by the vast Dasht-e-Kavir dessert in central Iran, between Isfahan and Teheran, Keshan has been famous for centuries for its textiles. The city was significant as a trading and resting place along the famous Silk Road. 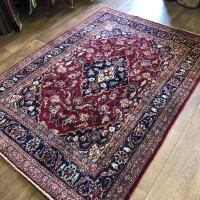 The carpets of Keshan are produced with a high count Persian knot, cotton warp and weft and high quality vegetable dyed wool pile. 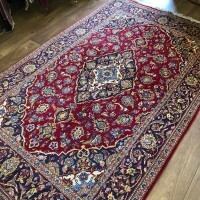 Kashan rugs are predominantly made up of red, blue and gold colours. 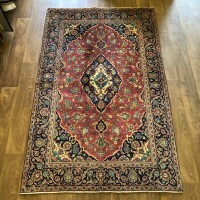 Our Kashan carpets can be viewed at our Preston store and are available to purchase in store or online with up to 12 months interest free credit.